When I told my friend I was making these Almond-Lime Zesties, she cringed. “I don’t like almonds and I don’t like lime,” she said. Whaaaaaat? I almost considered not making these because the last thing I want to make is a cookie someone doesn’t like. But these looked easy to make and I already had the ingredients to make them so I gave it a try. I have to say, I’m pretty happy with these. With only five ingredients, you don’t have to be a rocket scientist to make these and they come together rather quickly. 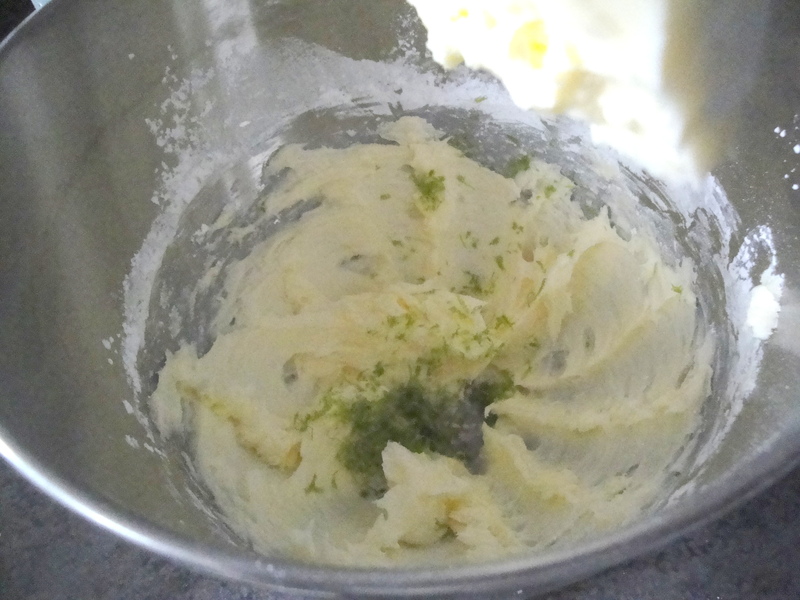 They are simple butter cookies jazzed up with ground almonds and a little lime zest. The almonds really give these cookies a bold nutty flavor and the lime is just subtle enough to give them a citrus kick. I added a little extra powdered sugar after they had cooled completely because when added to them warm, the cookies kind of soaked it up. 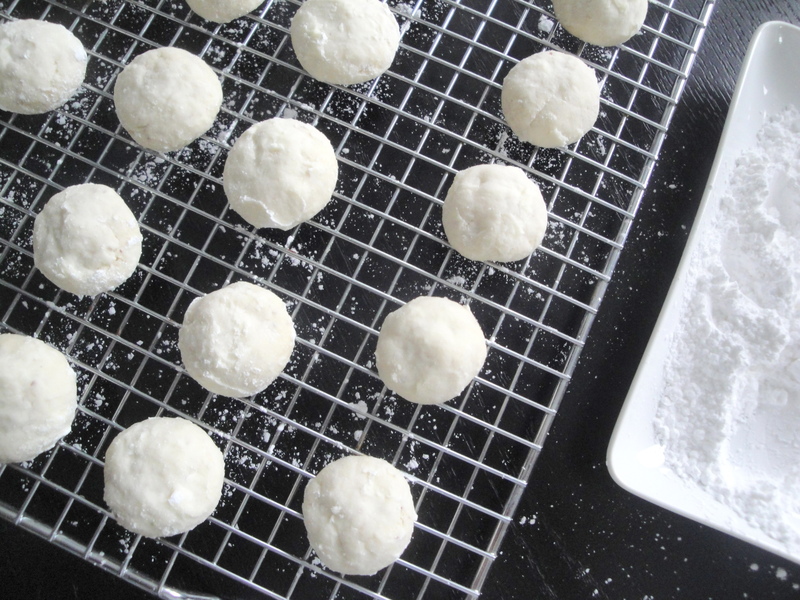 The extra powdered sugar makes these look like little snowballs which is perfect at Christmastime. Preheat oven to 350°F. Line a baking sheet with parchment paper. 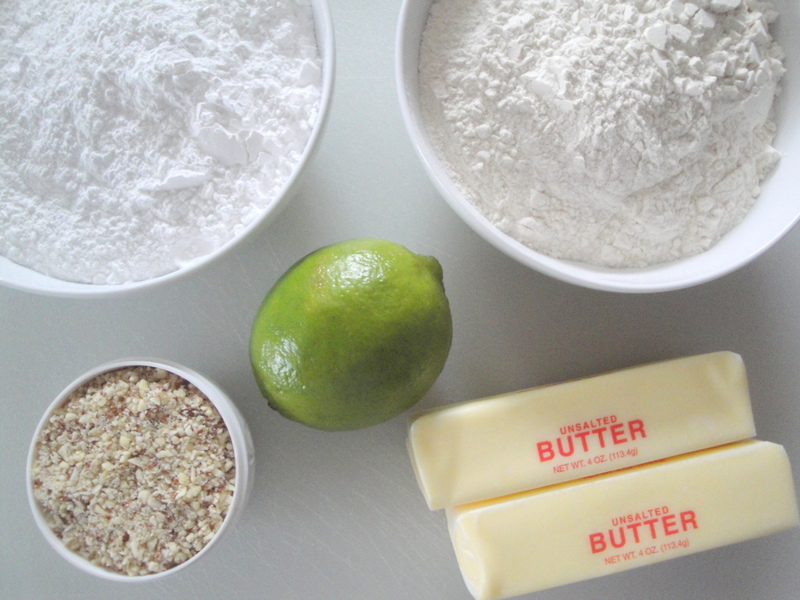 Beat butter and 1 cup powdered sugar at low speed with an electric mixer until smooth. Beat in lime zest. 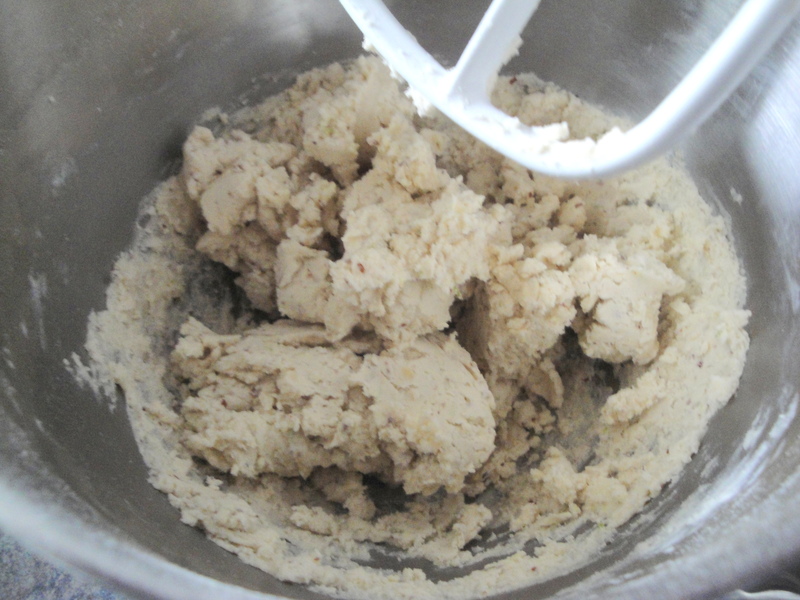 Add flour and ground almonds gradually, beating until well blended. Chill 15 minutes. 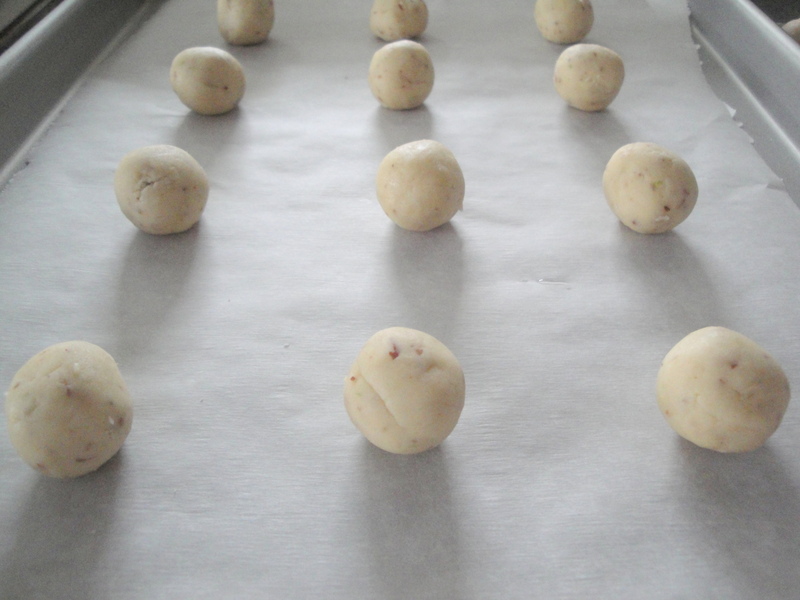 Shape dough into 1-inch balls; place 1 inch apart on prepared baking sheets. Bake 10 minutes or until light golden brown on bottom. Let stand on baking sheet 2 minutes. 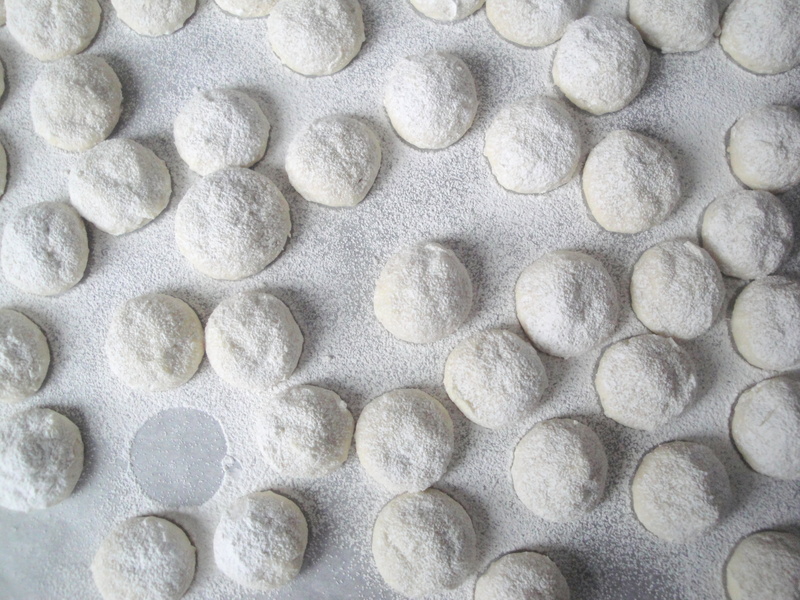 Roll warm cookies in remaining 1 cup powdered sugar, coating well. Let cool completely.